What kind of Amber Strobe Lights are you looking for? When you need to alert the world to caution, Extreme Tactical Dynamics has your lighting solution. No matter what vehicle you drive our LED amber light bar alerts those around you. Need concentrated light? Shop our amber LED strobe lights for maximum power from a tiny source. Clear the way for emergency situations on police and emergency vehicles, tow trucks, snow plows. When you need to let others know, we have the solution. Adjust flash sequence setting for the strobe. 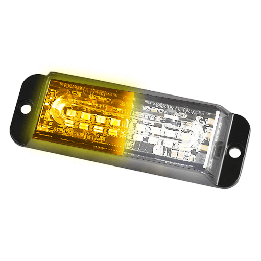 Quickly alternate with other colors with our one touch sophisticated LED amber light bar. We have them all. The choice is yours.